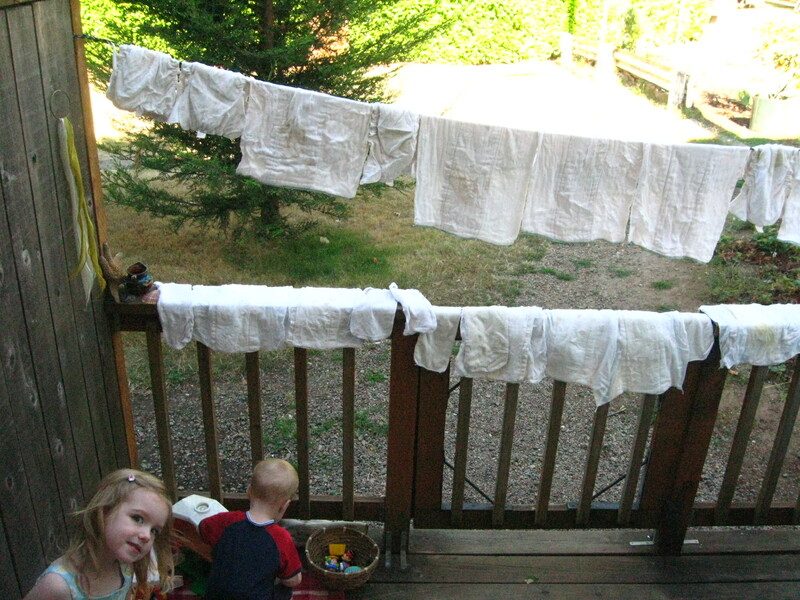 here at the very end of summer, we are trying to squeeze out one more day without the dryer. one more day of diapers that come clean in the sunlight. one more afternoon with light pouring in the West facing windows. even though we live in a condo! tomorrow promises sun too. we’ll be at the Fall.ART.Live festival downtown. join us? I’m so glad that Mabel and Nico are enjoying the books. I use my deck rail for hanging out laundry, too. Yesterday I did my big boys’ comforters and sheets.